Cutting through the jargon you need to market your business in a place where your potential customers are so that they have a chance of finding you and that then allows you the opportunity to sell to them. That’s what business is after all, an exchange of goods and services for remuneration, usually money. Well it used to be the dominion of the offline directories that strong men used to struggle to tear they were that large. Then it moved to online directories and for a while now, the home of information has resided within the powerhouses that we know as search engines. That is only one element of the digital world in which we roam. We all use search engines and in the Western world Google dominates, but don’t forget Bing, it has it’s place in your marketing arsenal and I am even dedicating an entire blog to speak of its many unsung virtues. Search engines spawned a whole industry out of their results and search engine optimisation is the industry that evolved. Back in the bad old days, it was about manipulation and tactics to get a website to that first page, or better yet that covered number 1 ranking. 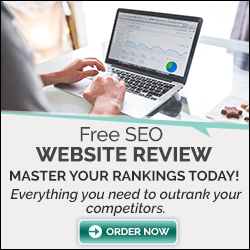 The algorithms have evolved and with so many millions and billions of searches occurring every single day, there is a more mature approach to SEO. A feeling of working with the search engines rather than against them. Alongside SEO is the genius idea developed from within the search engines, and for many of them, this is how they make money, I’m talking of course about PPC (Pay Per Click). Paying to shortcut the time lapse that is inevitable with SEO and paying to get visibility in an online blind auction. Then there is social media, something we have embraced and that has made or world feel a little smaller as we can talk to our family and friends wherever they are scattered across this blue and green planet of ours. We can Like Facebook updates and posts, we can Tweet our news (as long as we keep it brief), we can share images through Instagram, or brief glimpses through snapchat or own creations through Pinterest. Over a 300 hours of video are uploaded to YouTube every single minute and that is actually the second largest search engine, not Bing. The thing that fuels of all this digital engagement is content, we have images, videos, case studies, testimonials, Blogs and Vlogs, infographics, animations and even email marketing. Every where you go online, content is what is vying for your attention and trying to keep you engaged. So much so that content is not enough in the digital space no, it’s content with a purpose it’s content marketing! So think like a business rather than Alice and have an end goal in mind. What do you want your digital marketing to achieve? Be as specific as you can be, saying more business is absolutely the right end goal but one more customer is more – so think about what you want to specifically achieve and what is possible. Now where do your customers go? If a competitor is going great guns, take a good look at where they are sourcing their customers. The internet is dotted with clues! Paying attention to what digital road they are driving along and follow along! Speak to an expert if you are not sure. Digital Marketing consultants are actually there to help, they have seen and done about everything there is to see and do online. Take me for an example, I’ve worked over the years with some of the biggest companies not only in the UK but around the world. They are where I have learnt some amazing methods and tactics and do you know what, I share that with my small business clients because often its not about size and budget, its about being able to scale and being a little bit entrepreneurial and wanting to try something new.